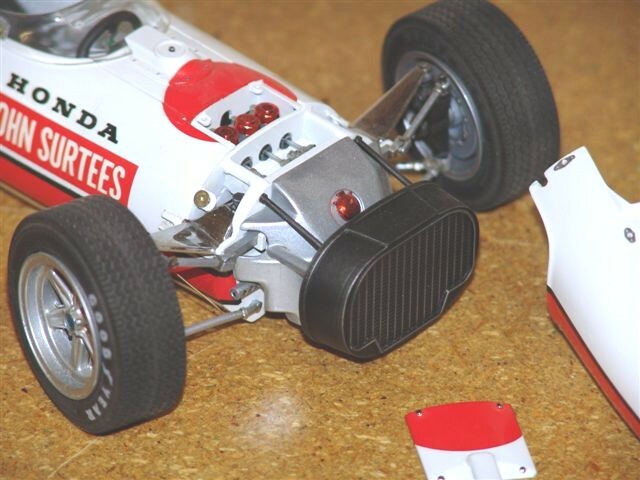 This is Tamiyas 1/12th scale Hondan RA 273 whichI modeled to represent the car driven by John Surtees. I incorporated a small amount of modifications to the kit parts eg, added brake lines engine wiring and detailing the cockpit . 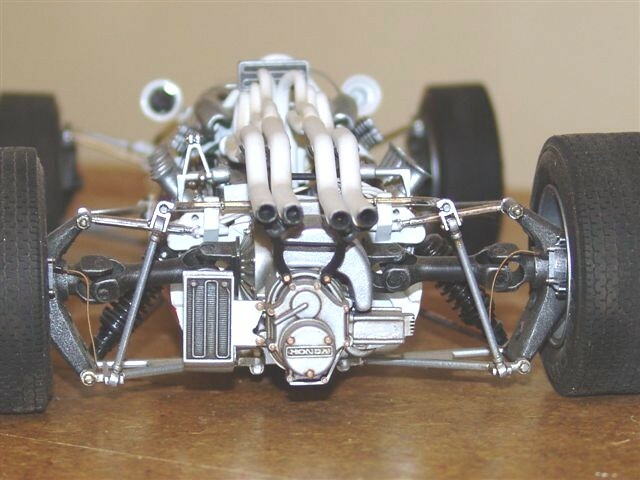 I also dechromed the plated parts such as wheels suspension arms etc and painted them in a dull aluminium to represent a more realistic alloy finish. 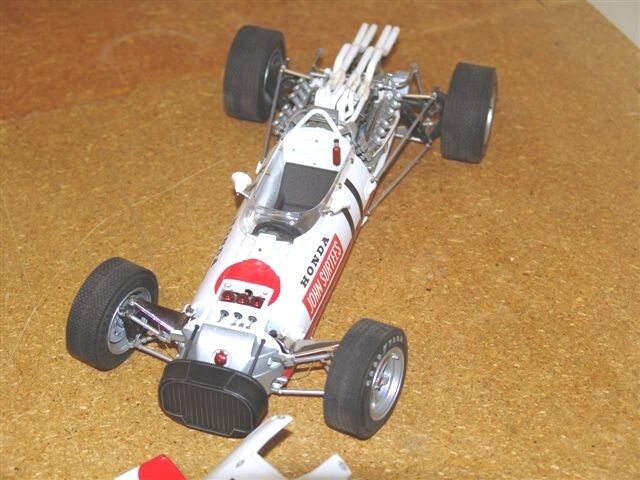 The model won 1st place and best automotive in show at the South Australian Model Expo 2003.